County CIO Tim Dupuis said the move to a renovated historic building in downtown Oakland has generated opportunities to improve operations as well as encourage collaboration, allowing staff to connect in new ways. The open lobby of Alameda County, Calif.'s new IT offices. The former Crocker National Bank Building in downtown Oakland, Calif., had been empty for a long time. In the historic registry, the red granite and terra cotta tile building’s art deco style made it a noteworthy structure in the business district since its construction in the 1950s. Owned by the county, the building had housed the Child Support Services Department until it outgrew the space about a decade ago. Since then, two other agencies have looked at moving in, but couldn’t find a way to make it work to serve their needs. Enter Alameda County Chief Information Officer Tim Dupuis. Central IT added new areas of responsibility over the past few years, and new staff to go along with it. Now in charge of county communications as well as the IT functions for the social services agency, Dupuis found himself with a fragmented workforce in four different locations. “Everything was becoming very siloed and we were running out of space,” he said. The bank building would save on leasing costs, since it was an existing county asset. In addition, it freed up 35,000 square feet of office space in county facilities that could help meet the growth needs of other departments. But the Information Technology Department (ITD) had its work cut out for it in preparing the space for its technology workforce. Once the plans were approved, Dupuis expected about a nine-month construction timeline, but all told, the project took about three years. The county took great pains to ensure standards for spending were followed and that the building’s historic character was preserved. “A lot of the challenges had to do with looking at the design, making sure we were value engineering what we were doing to stay within the county remodel budget,” Dupuis explained. All told, the total project budget was $20 million — well within remodeling cost expectations for a project in the Bay Area. And in the end, it came in $1.5 million below original estimates. Staying within those parameters, the county also achieved a “Gold” LEED certification with the building, exceeding the county’s Silver standard. A parallel challenge Dupuis faced was managing the massive cultural change the new space would represent. “We were looking at a very different way of running a government IT shop in a building like this,” he said. The new design is an activity-based workspace — a concept making a bit of headway in government, but more common to technology offices in the private sector. For Alameda County, it meant trimming the county standard for square feet per employee by about a third. This meant physical changes like fewer offices for management, sit-stand benching systems and many shared spaces intended to encourage collaboration and a whole new style of work. Communication and negotiation behind the scenes to foster buy-in for these dramatic changes was a huge part of Dupuis’ focus. Every employee, even traditionally PC-bound programmers, now has a laptop. And staff in the new facility don’t have desk phones, but rather a “soft” phone on their laptop, paired with their choice of headphones or ear buds. The new office forced a massive decluttering effort, as there are no file cabinets. Each employee was granted two banker’s boxes to transport their belongings for the move. Everything else was scanned and/or purged, in coordination with legal officials. “All of the different things that we went through were things that we wanted to address anyway,” said Dupuis, noting that the IT department can now help other agencies transition from paper-based to electronic processes with a newfound authority. Likewise, they already live in a world free of desk phones should other agencies want to forgo that cost as well. Being in the same physical space has already proven a major benefit. A recent system outage at one of the departments was resolved in just 20 minutes — an outcome enabled by all the problem-solvers being in the same space. Prior to the move, a similar problem would’ve taken a couple days to fix. 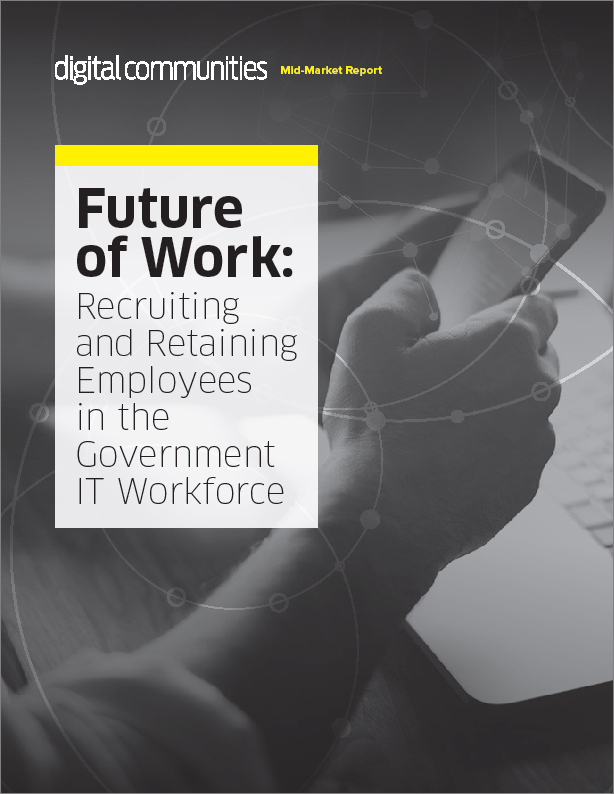 Located near Silicon Valley, Dupuis is all too familiar with the challenges of recruiting top technology talent into government service. But the new space definitely helps. “We may not be able to compete with Silicon Valley salaries, stock options and things of that nature, but we can rival the space and the innovation,” he said. Click here for more on ITD’s new headquarters.